The Welshman is set to leave the North London in the summer as he prepares for a new adventure outside England. But he has something to say to Arsenal fans before he leaves. Aaron Ramsey’s future is finally secured. After months of rumours and reports, the midfielder has signed a pre-contract with Juventus and will join the Italian champions in the summer. The 28-year old has signed a 4-year contract with the Turin club, where he will earn whopping £400k per week. Ramsey was in the last six months of his current contract with Arsenal, making him eligible to discuss his future with other clubs. The Welshman was linked with a number of European clubs after Arsenal announced that they will not be renewing his contract. But Ramsey chose the Turin-based club, ending his 11-year association with the Gunners. Arsenal also released a club statement, thanking their FA Cup hero for his contribution and memories: Aaron’s made a fantastic contribution to our club since joining from Cardiff City in 2008. He has always been a consummate professional and will always have a special place in the hearts and memories of Arsenal fans around the world. Ramsey won three FA Cup titles and two Community Shield during his time with Arsenal. The midfielder has also won Arsenal’s Player of the Year award twice, in 2013-14 and the last season. And despite being in the last few months of his Arsenal career, Ramsey continues to be a crucial player for the Gunners. He has made 6 assists in the Premier League this season, most by any Arsenal player. The No. 8 will be eager to end his Arsenal career on the sweet note as the Londoners continue to fight for the top-four finish. They currently sit 5th in the table, just one point behind Manchester United. 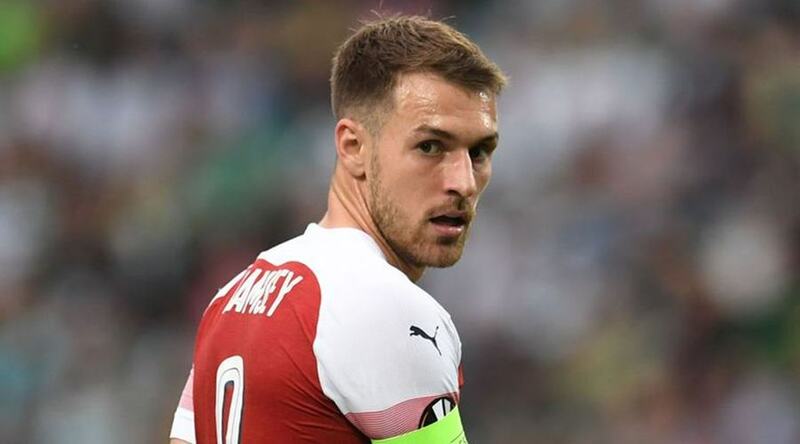 It seems like a great move on Aaron Ramsey’s part to join a world class club like Juventus. Despite his talent, the Welshman could never unleash his full potential at Arsenal for one reason or another. But with the likes of Cristiano Ronaldo, Paulo Dybala and Miralem Pjanic in his side, we can all expect some high quality football from Ramsey.